Hi friends!! If you are new here, welcome! Your love from the Amazon try on was unlike anything I had ever seen before and I am so thankful and grateful that you loved so many pieces! Since there are so many new faces here, I thought I would round up a few of my absolute favorite items into one post to make it easy to access. I am only including the main items that are still in stock. If other items in the picture are in stock, I included the link to them under the picture. These are items that I have either had in my closet for 1 year or 4 years and still wear over and over. I’m 5’6″ for size reference. White denim | Going on 3 or 4 years with this pair of white denim so I highly recommend them. They are currently 30% off with code COFFEE today only! They have gone through dozens of washes and have held up really well! Denim jacket | A denim jacket is a must have staple item for anyone’s closet. They literally go with everything! This one is from last year but they just put the one I linked out. It looks identical and is probably just the updated version for this year. Wearing the XS. 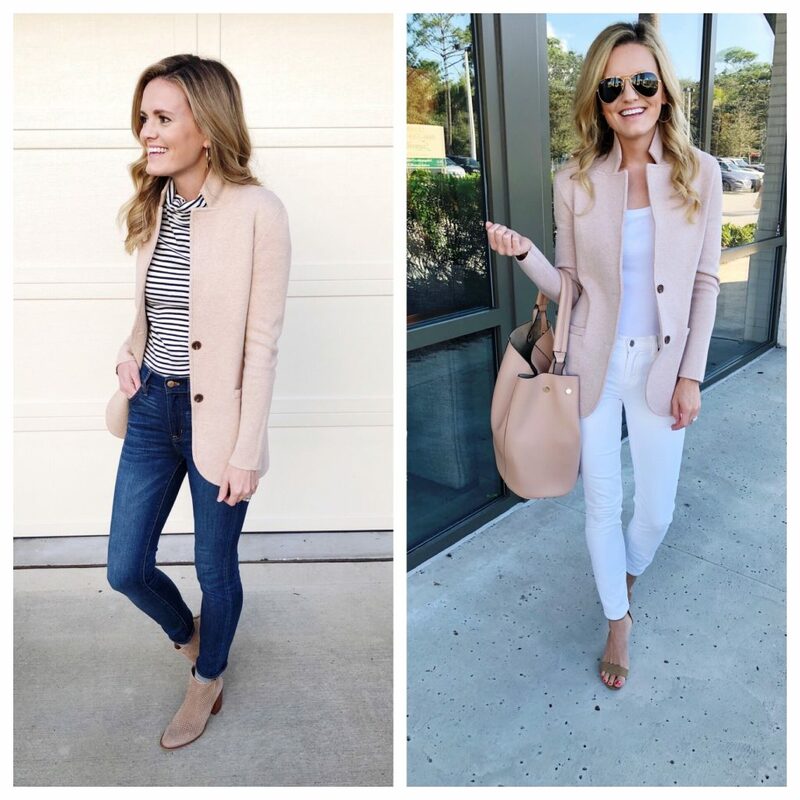 Sweater blazer | I loved this sweater blazer the minute I put it on. 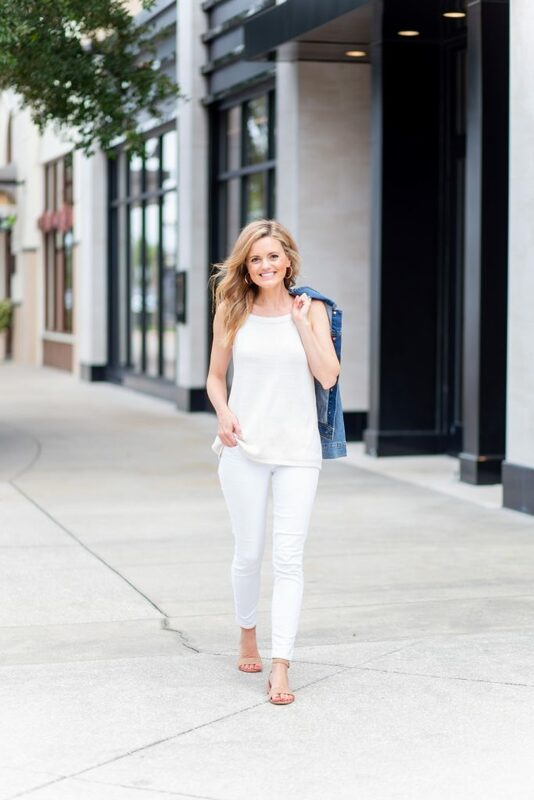 It’s a classic piece to add to your closet that will last for years! Here’s 2 ways I styled it. Wearing the XS. 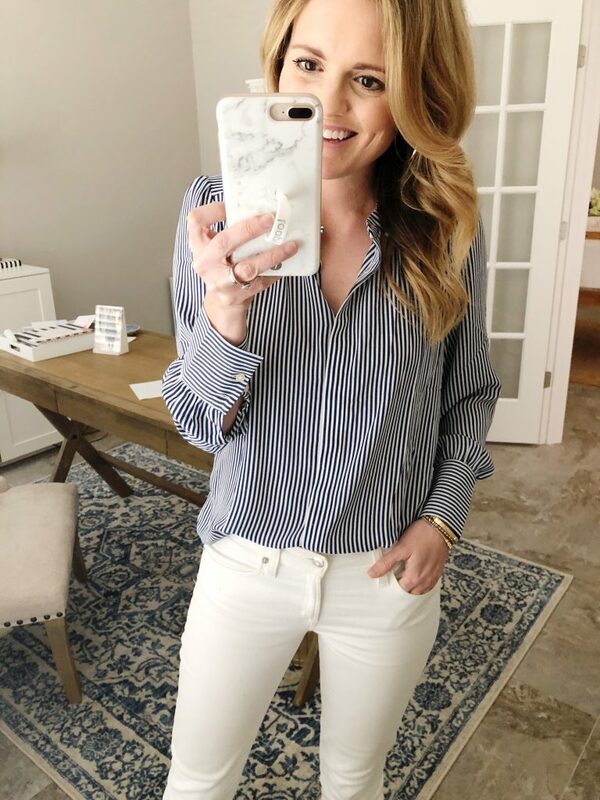 Striped blouse | I kept debating whether or not to include this one because it’s low in stock but a pretty blouse is a necessary item. 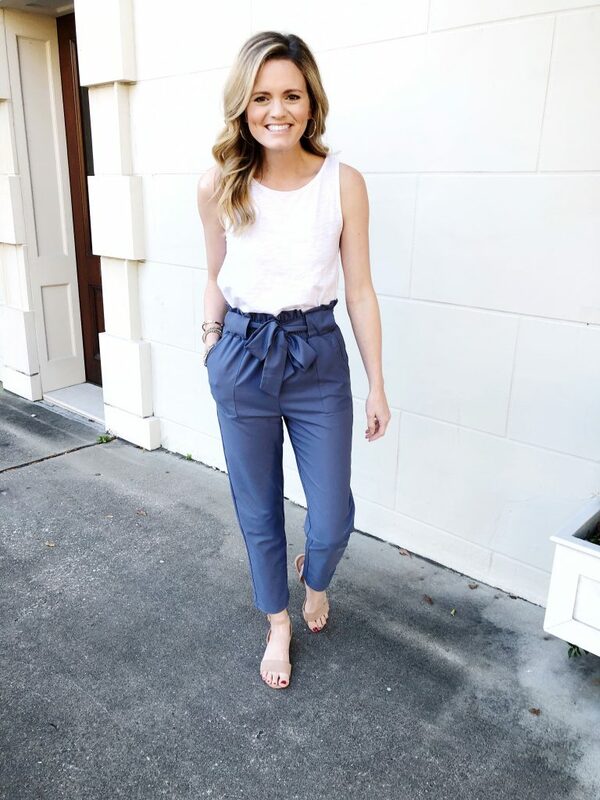 You can dress it down with regular or white denim like I did here (I wore this to a meeting a few weeks ago and felt put together) or you can pair it with a dress pant or skirt for work. Here is a very similar blouse – it looks like the color is slightly lighter. 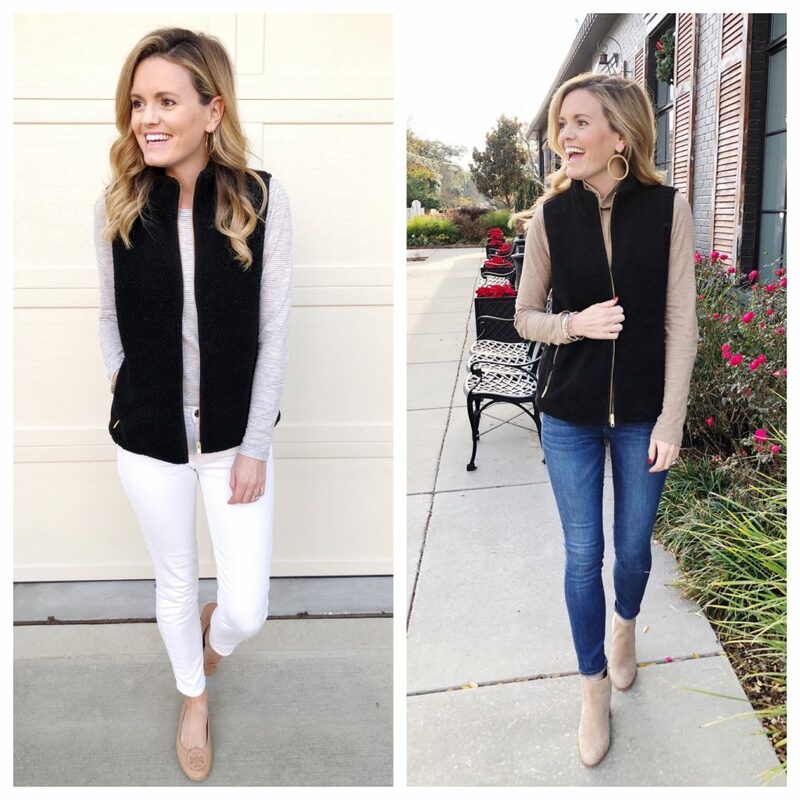 Leggings | tanks | I included these leggings in January’s Amazon try on and have been wearing them nonstop. They are so soft and I love the cropped look. I reach for these more than my Lululemon leggings now. Wearing a size XS. Twill Field Jacket | I’ve had this jacket for years and have been wearing it more and more recently. It’s a great lightweight jacket to pair with white denim, regular denim and shorts for spring. Wearing a size small. 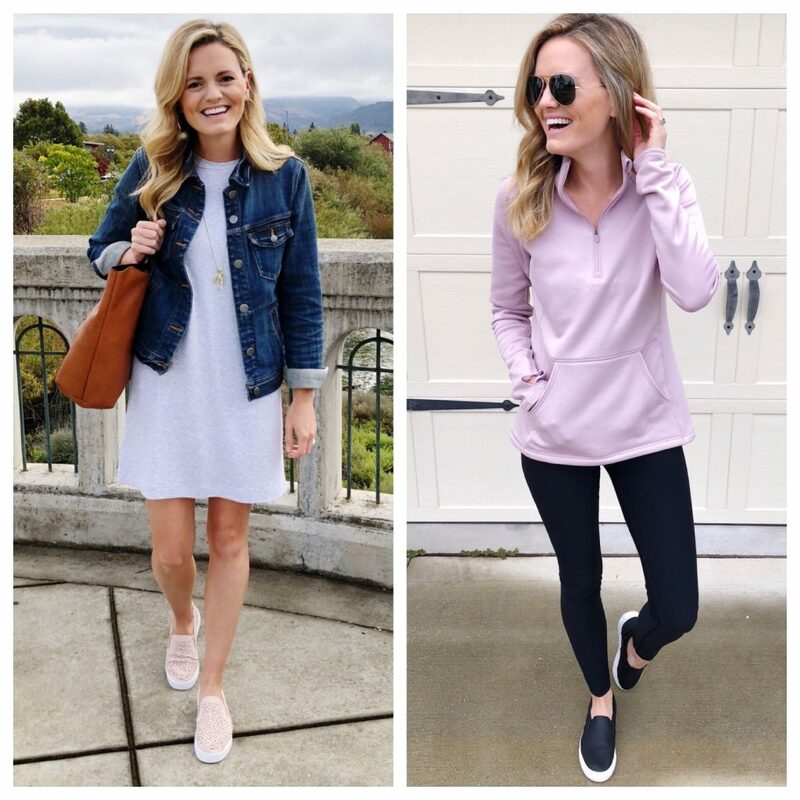 Dusty pink sneakers | black sneakers | Sneakers have quickly become a go to shoe for me. Both of these options are really comfortable and I wear them with everything from dresses, leggings and denim. Tory Burch flats | These are quite the splurge but they go with everything! I have these for a few years now and they have held up so well! 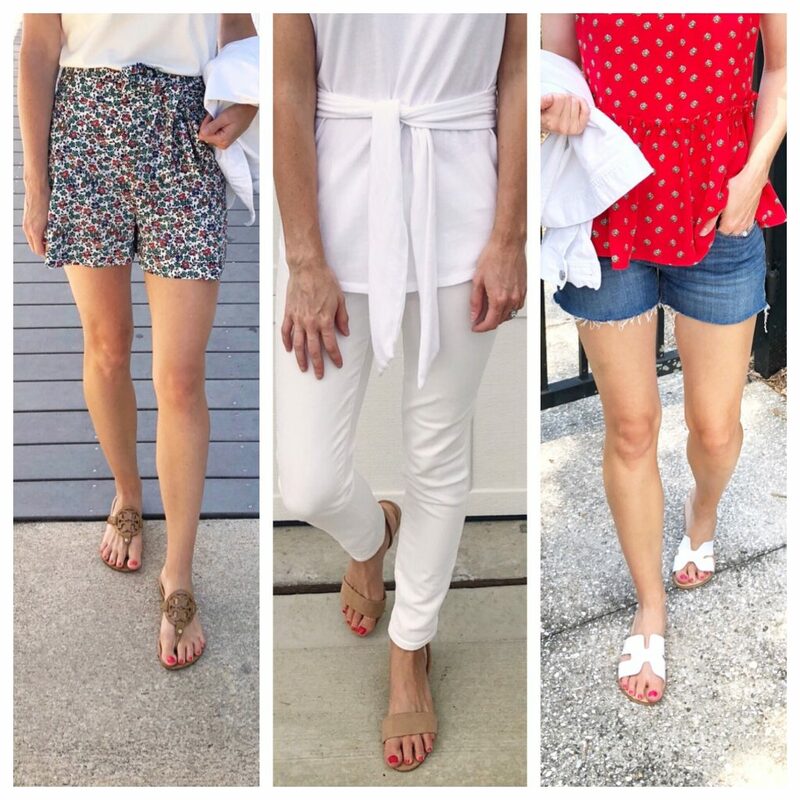 Tory Burch Sandals (sand patent) | ankle strap sandals | white sandal | I am a big neutral shoe girl and last summer I added the white slides to my closet. All of these options go with just about everything! I’ve had the Tory Burch sandals for about 3 years and they are definitely worth the splurge. Swimsuit | One of my favorite swimsuits for the past few summers! I will definitely be wearing it again this summer. It’s so flattering with the halter neckline and rouching on the sides. I have the size small. And here is my favorite coverup that’s only $15 – I didn’t have a picture. 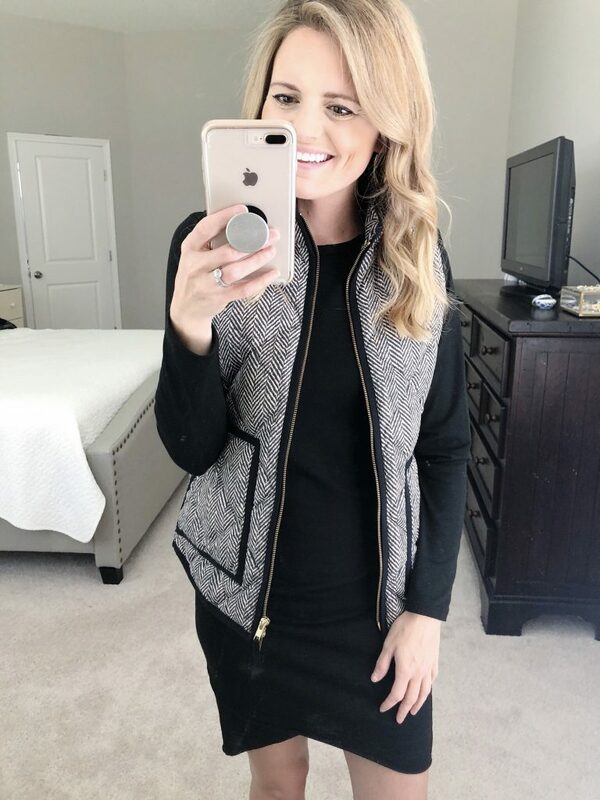 Another question I get asked quite often is about my makeup so I shared everything I use here in my Everyday Makeup Routine. And if you want to check out any of my other previous Amazon posts, I linked them all below. Hi! I love the bag in the sweater blazer picture. Do you have a link to that one?